After Hurricane Katrina, 78-year-old Marion was living in the Superdome with nowhere to go and nowhere to turn. And, she says, after giving her life savings to Century Services, she had no hope of ever returning to her beloved home. So, Dr. Phil teamed up with DIY Network, their home improvement show, DIY to the Rescue, and Paul Davis Restoration to give Marion the dream of a lifetime. The details and results are featured in the “Katrina Rebuild” special episode of DIY to the Rescue. Show hosts Karl Champley and Amy Devers offer a preview ” emotional clips of the demolition, repair and restoration of Marion‘s historical home. “I’m still pinching myself!” she answers. 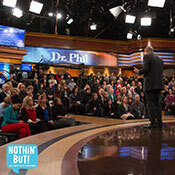 Dr. Phil welcomes Dean Thompson from Boyles Furniture, who joins the show via satellite from New Orleans. 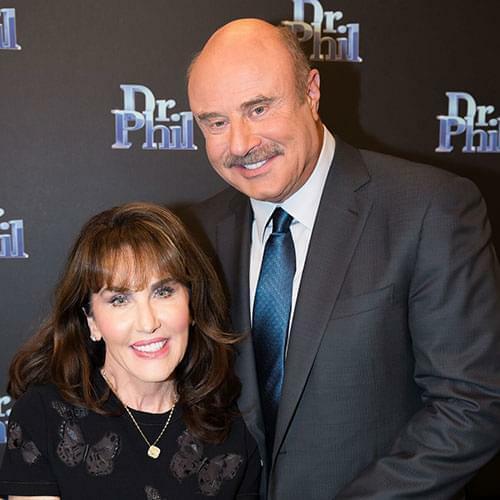 “Tell us what you’re doing at Julie and Robert’s home,” Dr. Phil says. “We heard that Julie and Robert had lost everything and that they were living with borrowed furniture. So, when they headed to California for your show, our design team snuck in and we’ve been hard at work,” Dean says. Dean leads the cameras through Julie and Robert’s home, which is now full of stylish new furniture from Boyles. The home designers also left a special treat for 9-year-old Halle in her colorful new bedroom. Julie, Robert and their daughter Halle are thrilled. “So, Lenny, what do you think?” Dr. Phil asks. Dr. Phil has more surprises in store. LowerMyBills.com, along with two sister companies â€” FreeCreditReport.com and PriceGrabber.com â€” put together a lump sum of $50,000 which will be divided among the group. They are all thrilled with their turn of fortune. Dr. Phil speaks directly to 74-year-old Lena. She is originally from Belize, and has been living in New Orleans for 50 years. “It’s been a long time since you’ve been home, right? Well, I have a surprise for you,” he says. Dr. Phil presents her with two round-trip tickets to Belize, courtesy of Orbitz. While in Belize, Lena‘s accommodations will be furnished by Radisson Hotels & Resorts. Lena cries tears of joy. 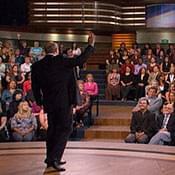 Finally, Dr. Phil calls Julie to the stage. Julie and her family did not receive a FEMA trailer for five months, and would’ve been homeless during that time, had it not been for the kindness of strangers. “Somebody we’ve never met or anything donated this trailer to us from Florida,” Julie says, describing her family’s temporary home. Julie turns around to face Mike and his wife, the owners of the trailer. They all tearfully embrace. Special thanks to: DIY Network, Paul Davis Restoration, LowerMyBills.com, FreeCreditReport.com, PriceGrabber.com, Orbitz and Radisson.